»Homilies»What does it take to give up everything for Christ? What does it take to give up everything for Christ? Four years ago, a young man made an international headline because of his surprising move to give up his very promising career and entered the seminary to become a Catholic priest. Chase Hilgenbrinck, a very promising soccer-player who made it to the Major League Soccer in 2008 (the New England Revolution), let go of his celebrity-status and joined the Mount St. Mary’s Seminary in northern Maryland. His decision caught many by surprise except those who knew him. Because Chase did well in the Sports Arena, he became a celebrity. As a celebrity, he became, famous and popular. As a celebrity he could have gathered millions of followers now in his Facebook and twitter if he didn’t sacrifice his passion for soccer to pursue his dream to become a priest. Friends, you might have heard his story or have read it somewhere, but it’s worth repeating. Stories like Chase’s, always inspire us, especially for young people of today who may have all the ideals in life but are also caught up with the many detours, distractions and diversions along the way. But Jesus here is calling them to faith in him, ‘to believe in the one [the Father] has sent.’ He is sort of saying: ‘Following me is more than just getting the bread that you need for free. Following me is much more than just getting something out from me. Following me means accepting me as one of your circle of friends and allowing me to form a big part of your life. 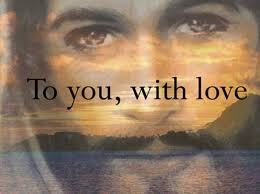 This is what Jesus wants to tell the crowd in today’s gospel. And he is reminding each one of us here and now this same invitation: to be his friend. The good thing is it’s always God who makes the initiative to reach out to us. As a Jesuit priest wrote: ‘We will never find God, but surely He’ll find us first.’ He is calling us to be his friends, and as any friendship entails, it has to be two way, meaning we have to do our part as well to meet God half-way so to speak. But how? That is the question. To grow into friendship with him though demands of us an attitude of gratefulness to God for taking care of us in all our needs as we can reflect on our First Reading today. We need to thank him everyday and every Sunday when we go to mass for his gift of himself as the bread from heaven that sustains us in our Christian journey. To become a real friend of God, not just in theory but really in our practical life, means we must stop living ‘the aimless kind of life that pagans live’, as St Paul would tell us in our Second Reading today. So as we continue our celebration of the Mass today, let’s pray that we now open ourselves more to friendship with God. Because it is by this that we can come to realize that there is more to life than just eating, or drinking, or becoming popular. Life is walking alongside with our real and the most dependable of friend, Jesus Christ. ← How real God is in our lives?